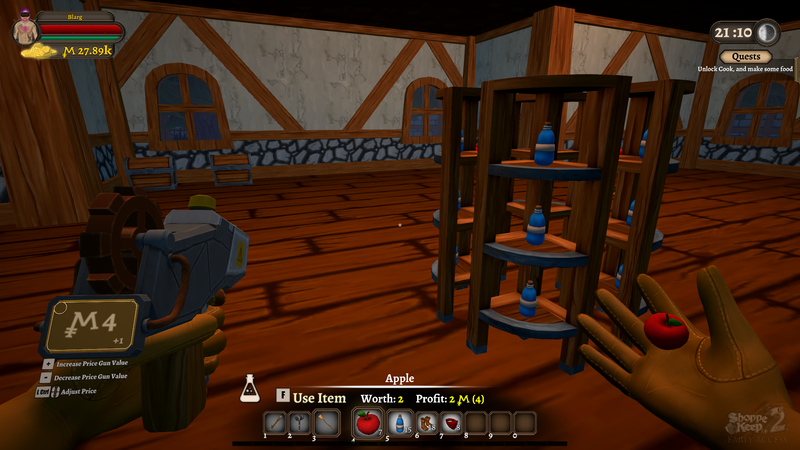 Last week saw the launch of Shoppe Keep 2 in Early Access. It has been an overwhelming week for us on the Shoppe Keep team. 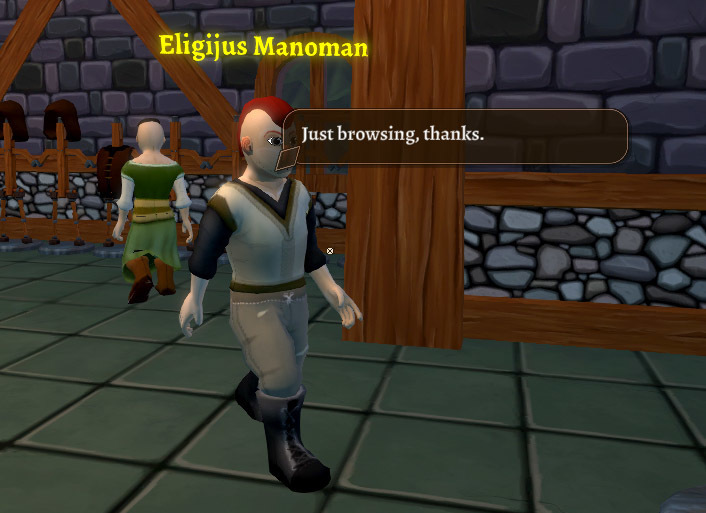 We've seen thousands of players enjoy the game and are very humbled by the response so far. We still have a lot of work to do and we hope that as the game continues to grow and evolve over time you will be happy to try out new features and mechanics. Shoppe Keep 2 is now fully translated into Simplified Chinese, Japanese and Russian. Increased chance to see customers who will just browse the shoppe. These customers will not buy anything, but will just like to see what you have on display. 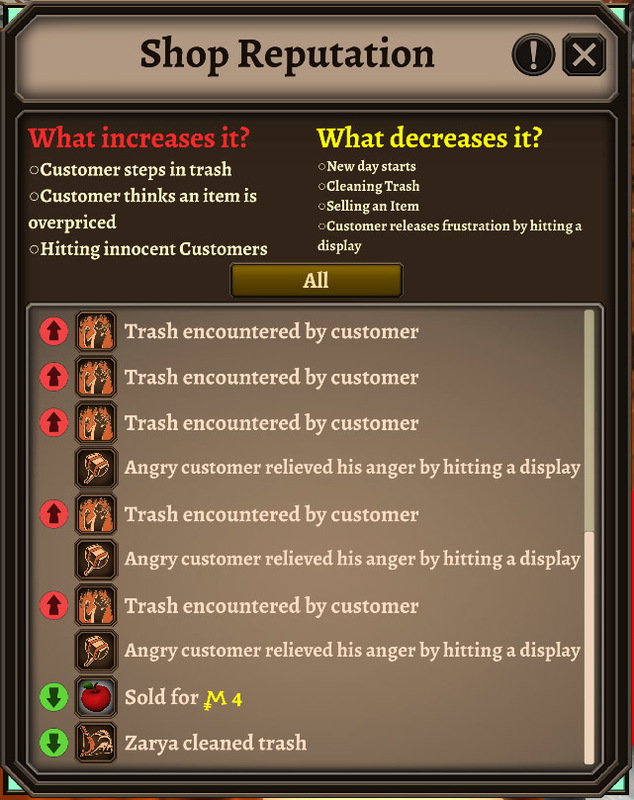 The hate system is a new feature which will allow players to see the frustration of customers in-game. Hate is generated by a customer's bad experience, whether it is walking through trash, seeing an item priced too high or other factors. Pressing the L key will bring up a list of all of the interactions your customers have had with your shoppe and what kind of response that it will have on your shoppe reputation. A negative experiences generates much more hate than a positive experience, so the player must be able to make up to customers three fold to negate any negative opinions. The corner furniture piece is a testing item, it is being introduced to test the functionality of it and there may be issues with this furniture piece. We plan to include it as a fully fledged furniture piece once we've worked towards an update which introduces the family houses. So don't be surprised if in the coming weeks this furniture piece is removed. And below is the most recent known issue which is still present in today's build. Inability to stack items in container when there are ten item types already in the containerContainers currently have a known issue. 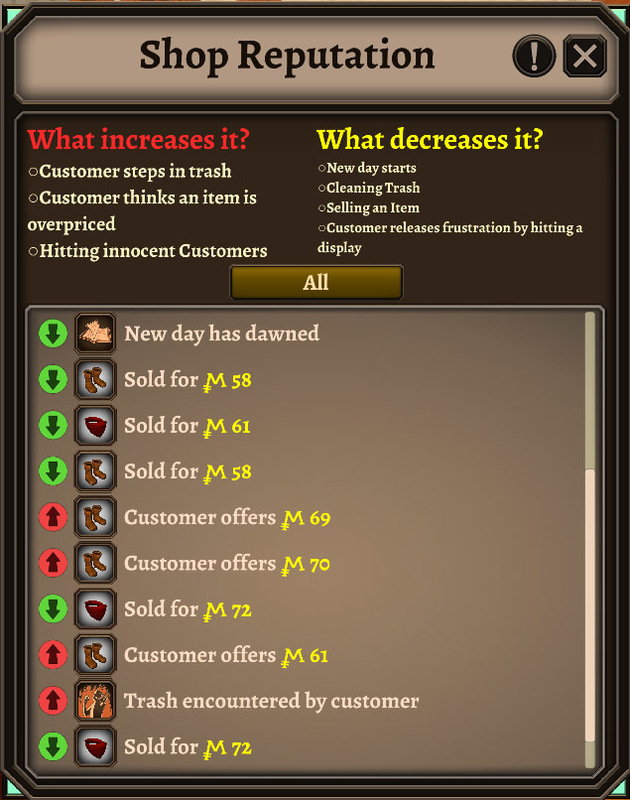 If 10 items are currently in the container, no more can be added, regardless if that item already exists in the container itself. A way around this is to remove an item from the container and then place it back in with the additional number you wish to add. Of course it is important to note that none of the features in the game are complete. All features are constantly in development and there will be balance changes and adjustments to many variables during the Early Access process. We are reacting to community feedback on a daily basis and many mechanics will change based upon important information that the community shares with us. We appreciate your patience and support during the development period. Below is a list of the changes, fixes and additions to todays build! On death you cannot loose items that are marked "Can'[t drop"
Fixed Chest input/output for clients/hosts. you might see a delay in items being plopped in/out the UI depending on your internet speed. will be remade once again in the future, for now it at least works! Removed option to host a friend-only game. To play with friends, please select the private option. If the game notices an FOV smaller than 1, it should auto-default to 60.